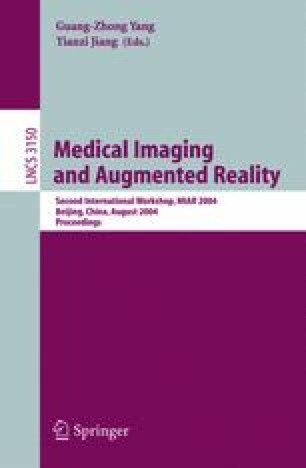 An introduction to robotic surgery is given, together with a classification of the range of systems available with their problems and benefits. The potential for a new class of robot system, called a hands-on robot is then discussed. The hands-on robotic system, which is called Acrobot®, is then presented for total knee replacement (TKR) surgery and for uni-condylar knee replacement (UKR) surgery. CT-based software is used to accurately plan the procedure pre-operatively. Intra-operatively, the surgeon guides a small, special-purpose robot, which is mounted on a gross positioning device. The Acrobot® uses active constraint control, which constrains the motion to a predefined region, and thus allows the surgeon to safely cut the knee bones to fit a TKR or a UKR prosthesis with high precision. A non-invasive anatomical registration method is used. The system has undergone early clinical trials of a TKR surgery and, more recently a blind randomised clinical trial of UKR surgery. Preliminary results of the UKR study are presented in which the pre-operative CT based plan is contrasted with a post operative CT scan of the result, in an attempt to gain an objective assessment of the efficacy of the procedure. Finally, proposals for future requirements of robotic surgery systems are given.